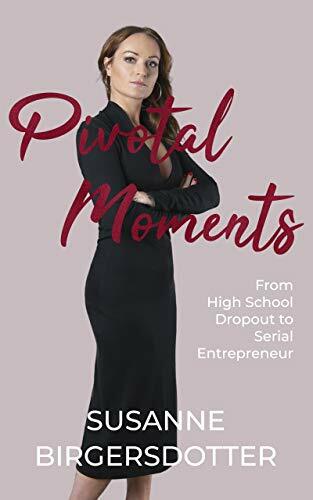 Pivotal Moments is not a business manual or a personal memoir—it’s the story of success and failure, of one woman’s struggle to realize her dreams. It’s a book about those pivotal moments in our lives that shape us. The way to the top is never easy. The road to becoming a successful entrepreneur is often beset by countless obstacles and challenges. In Pivotal Moments, you will follow Susanne’s exciting journey from high school dropout to becoming one of Scandinavia’s most successful tech entrepreneurs.